I am often asked why I resigned from the federal bench and gave up a lifetime appointment as a federal judge. The short answer is economics, driven by my three children. My two oldest sons’ need for higher education and my youngest son, Alan, whose needs are a little different. My oldest son has a finance degree from Stern at New York University and an MBA in Finance and currently works for the 7-Eleven Corporation. My middle son is a medical doctor in San Antonio, Texas. 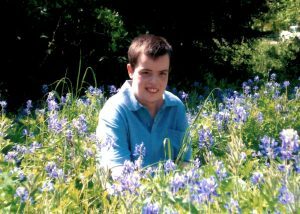 My youngest son Alan has special needs. Alan, now in his twenties, is profoundly handicapped. He has cerebral palsy, which manifests itself in mental retardation, ambulatory difficulties and autistic behaviors. He is not and never will be capable of independent living, and, as far as we know, will live a life of normal age expectancy. All of that said, Alan’s receptive language skills are great and he often surprises us. The problem is with his ability to communicate with others. Alan has his own home, a very involved and loving mother, and full time caregivers who love him as well. While his condition poses many unique challenges, I couldn’t be more grateful for him. Alan has taught me lessons about patience, compassion, mercy and gratitude that I never would have learned any other way. We’re a lucky family. One of Alan’s greatest support systems has been the Texas Scottish Rite Hospital for Children in Dallas, Texas. The hospital has provided Alan, without charge, specialized care throughout his life. I am proud and privileged to be able to support Texas Scottish Rite Hospital. This great institution has done much for Alan and for thousands of other children and their families who have neurological and orthopedic issues. They provide services at no cost to the families. It truly is a great and special place. Visit the Texas Scottish Rite Hospital for Children’s YouTube Channel to watch more videos and to learn more about this wonderful institution, or call 214-559-7825.